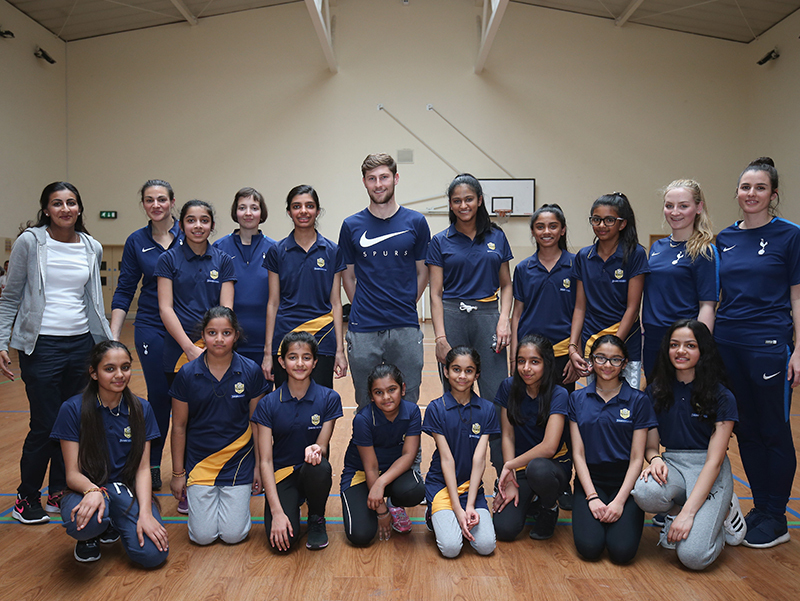 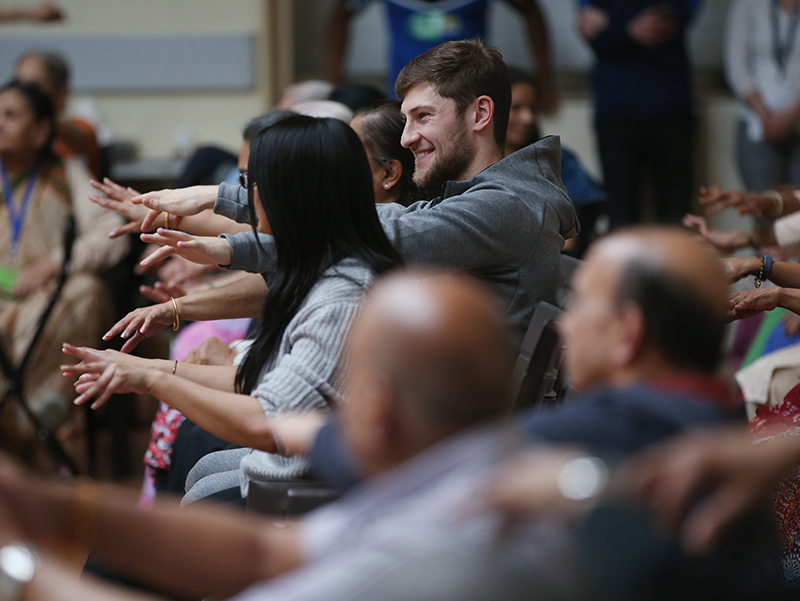 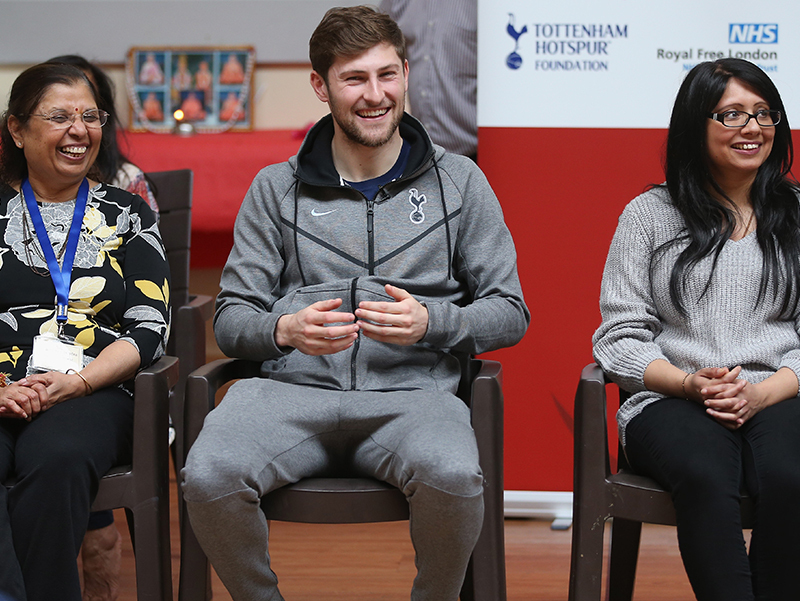 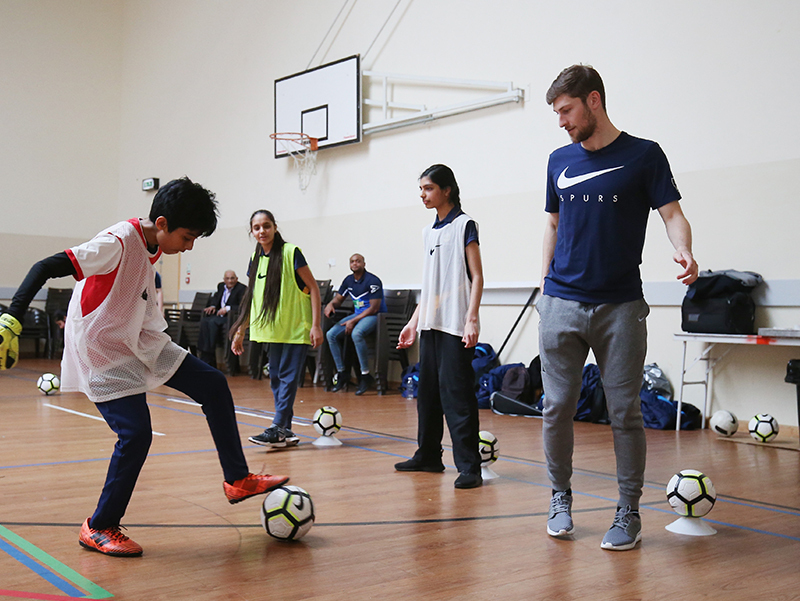 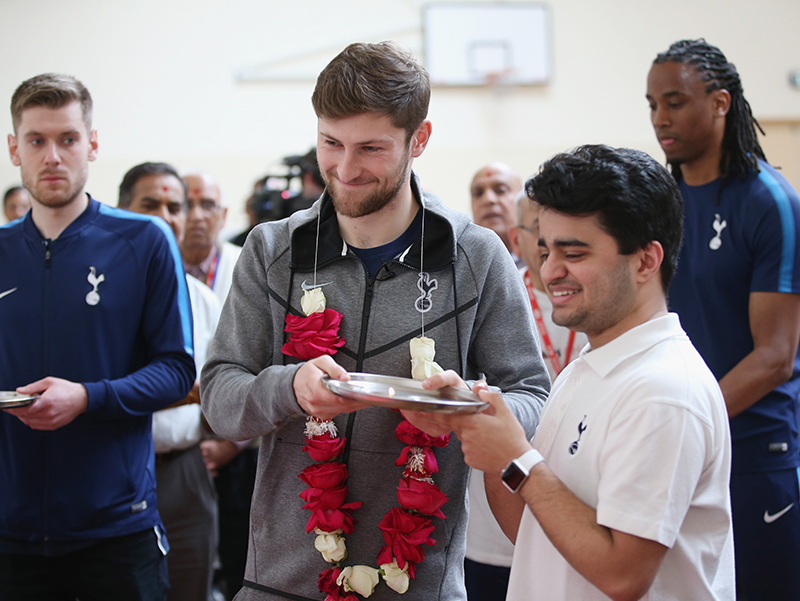 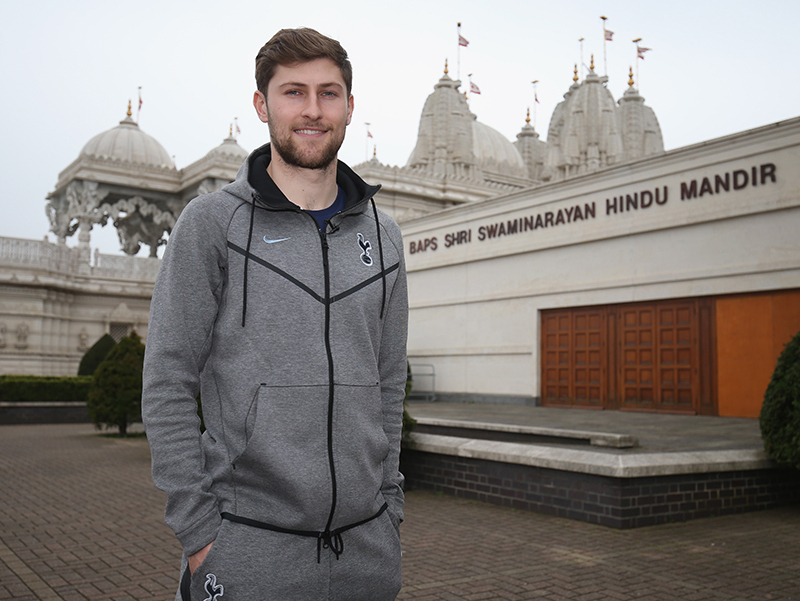 Tottenham Hotspur’s Ben Davies visited BAPS Shri Swaminarayan Mandir on Wednesday 11 April 2018 for ‘Wellbeing 4 You’, a physical fitness programme that the Tottenham Hotspur Foundation is running in partnership with the Mandir. 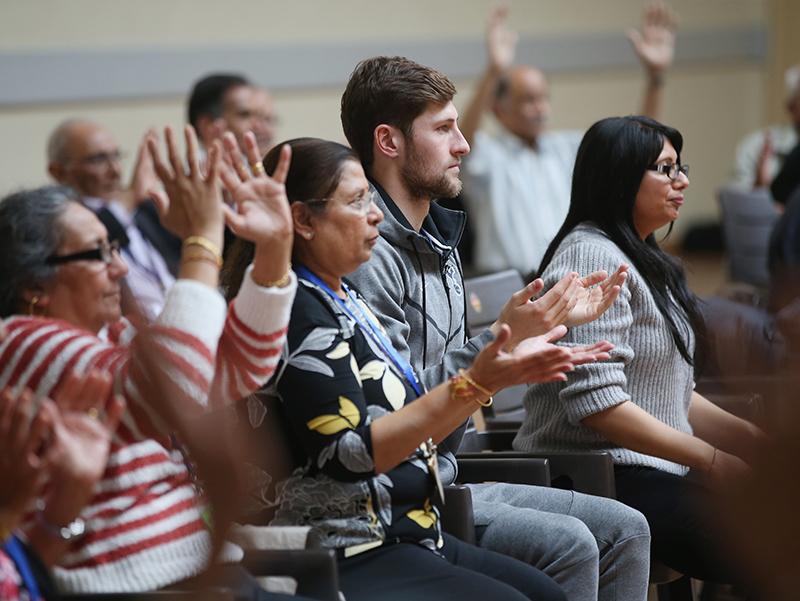 The programme, which is delivered all year round to over 200 members of the Mandir, is the only project of its kind in London. 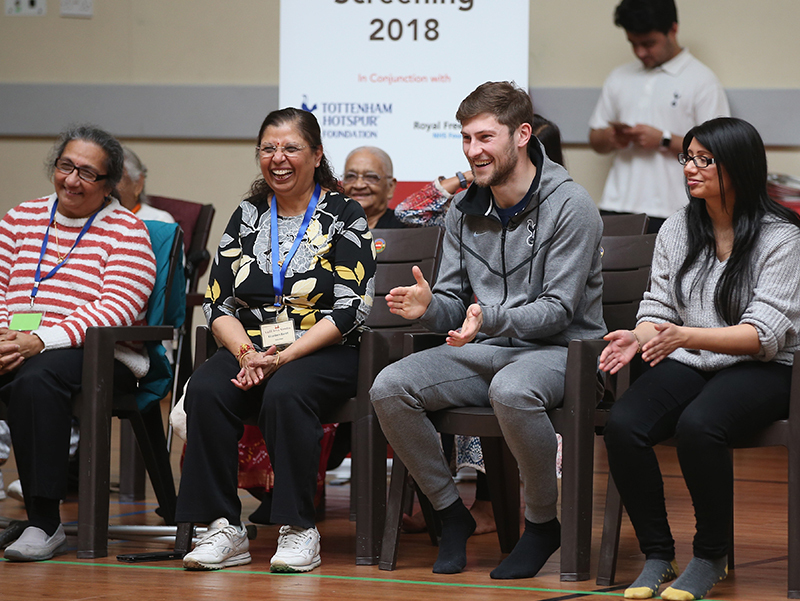 The Premier League-funded programme supports the temple community by offering a weight management course, regular health checks, culture-specific nutritional advice, and a range of physical activities, such as seated exercises, football coaching and community walks. 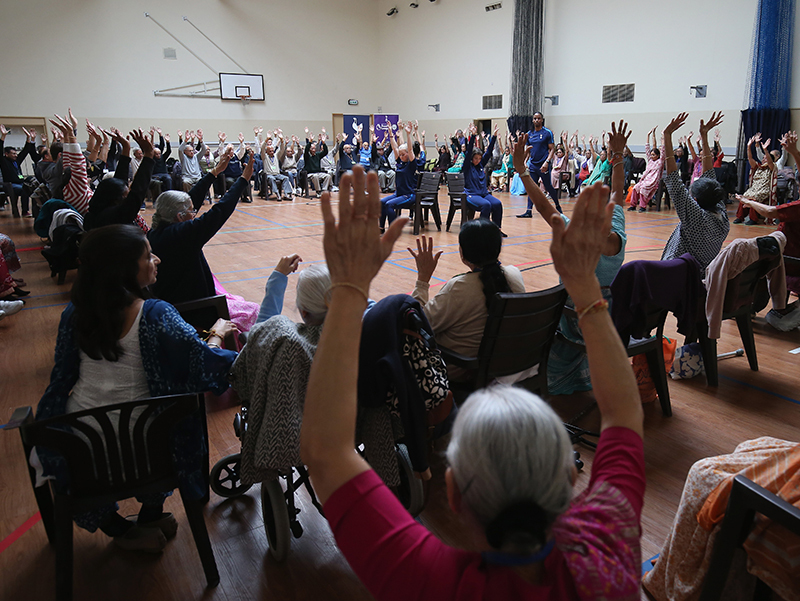 It aims to help decrease the members’ risk of long-term health conditions such as diabetes and heart disease. 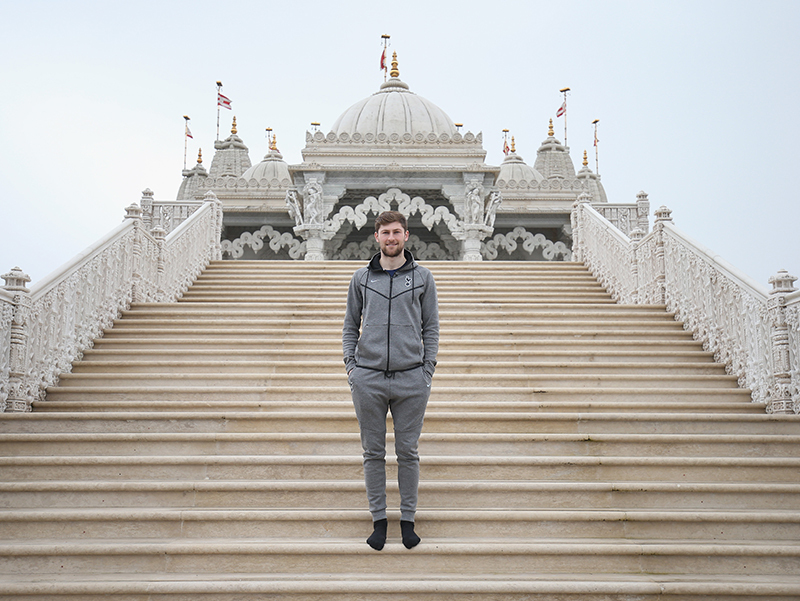 The Welsh defender took part in a seated exercise session with elderly participants and helped to coach a football session for a group of youngsters from The Swaminarayan School, Europe’s first independent Hindu school which is situated opposite the Mandir. 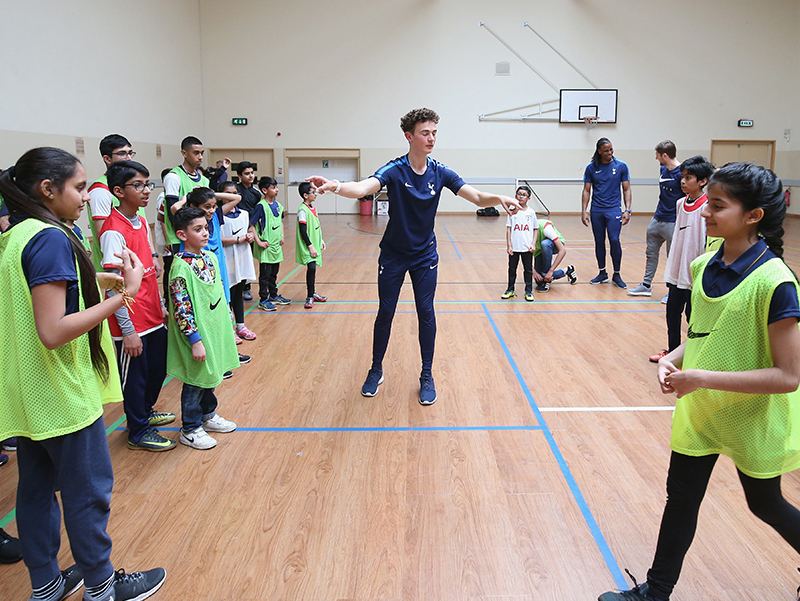 Davies also took part in a question and answer session with the children about the importance of equality and inclusion in football. 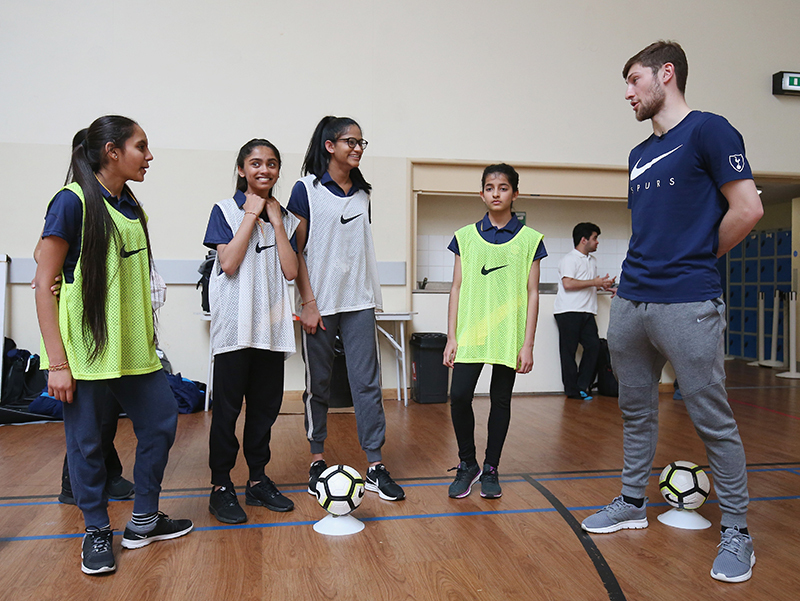 This was organised by Kick It Out – an organisation that tackles all forms of racism and discrimination in football, to ensure the game is open and welcome to all. 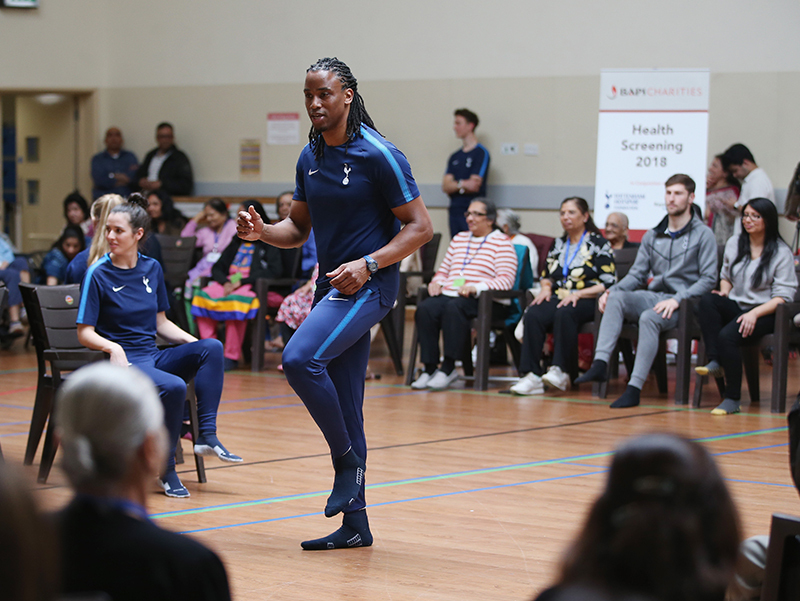 The ‘Wellbeing 4 You’ programme is a part of Tottenham Hotspur’s commitment to the London Borough of Brent during its season playing home matches at Wembley. 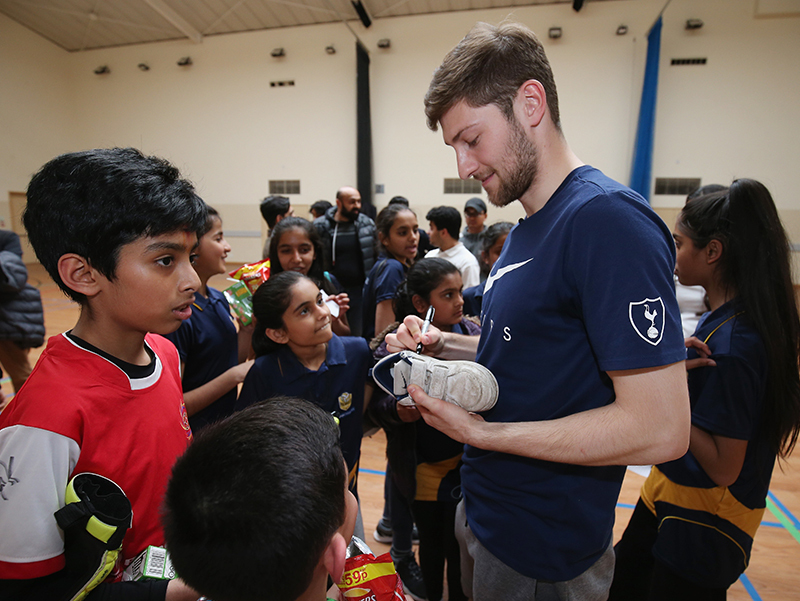 To learn more about the Tottenham Hotspur Foundation, please click here. 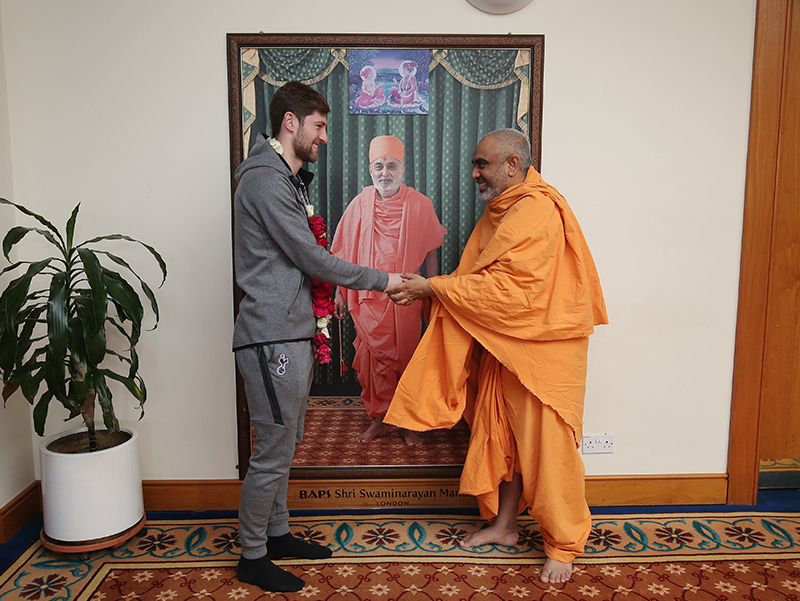 Disclaimer: BAPS Swaminarayan Sanstha is not responsible for the content of external internet sites. 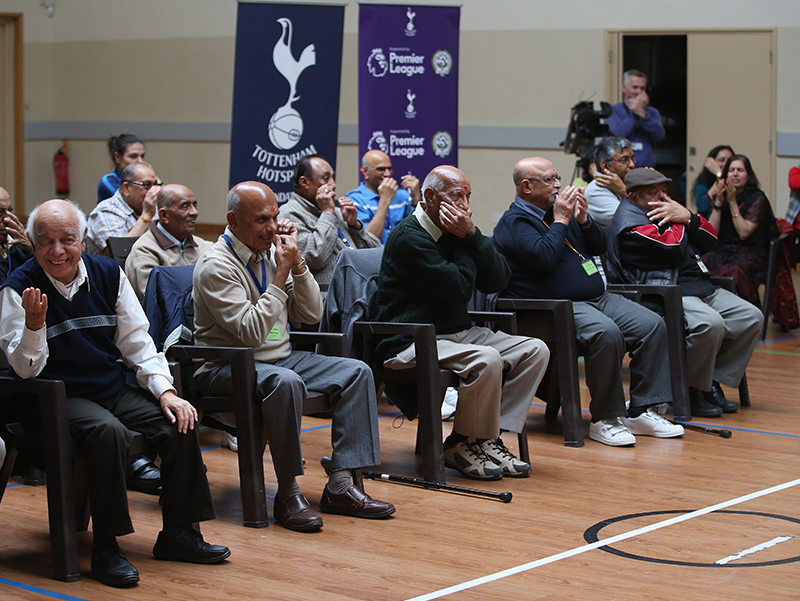 All photos courtesy of Tottenham Hotspur Football Club.